Whilst we are not strictly a fully functioning rescue (yet? ), we do offer a ‘match-making’ service by lending a hand to those who approach asking for help when situations arise and new homes are needed for their Rabbits. 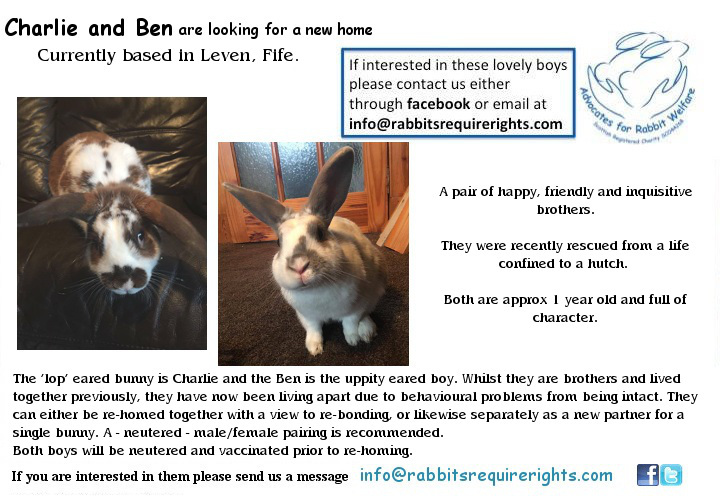 This gives the owners the peace of mind that their much loved pets will not end up in the wrong hands, when for whatever reason, they need to find new families for their furry friends as our charity will both vet and home-check potential new owners on your behalf to ensure the long-term welfare for those rabbits. We can also assist on bonding and any other rabbit related questions and offer follow up advice regarding diet, housing, health and so on, to ensure the best outcome possible for all involved. 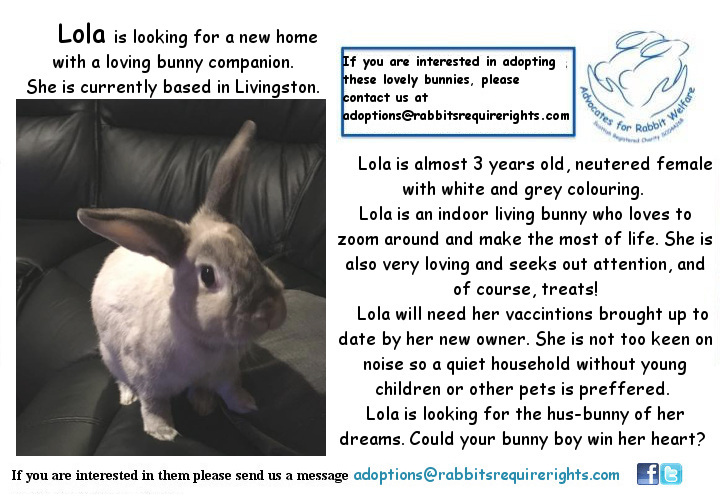 We’re helping Lola find a hoppy new home, do you have a single male bunny in need of a wife, or know someone looking for a companion for their bunny? 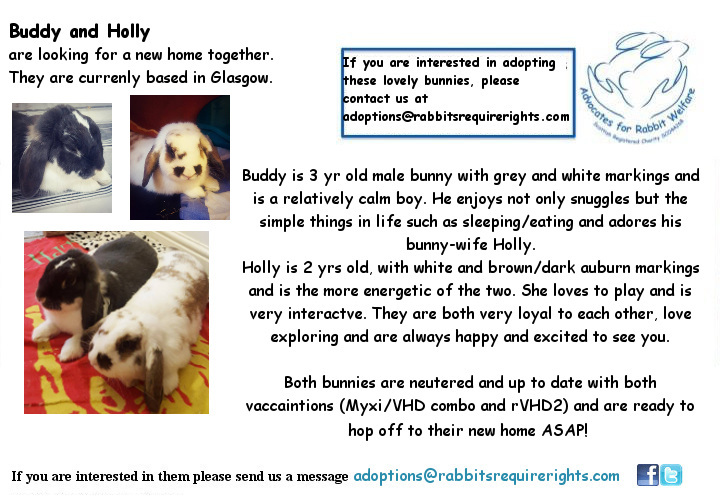 Not only will our rescue accommodation safely house rabbits waiting on their new homes, but it will also act as a educational focal point to help raise awareness into the true welfare needs of rabbits. We still have lots of work to do to the interior in order to make this a warm, safe and secure home. Thanks to the generosity and support from both Runaround and RunAbout Runs we have a large, secure exercise enclosure and 2x 6ft connector pipes to fit, but we still need funds to enable us complete our work to the interior of the playhouse shed, which we hope to compete this coming Spring. We would also like to thanks the guys at Forest Craft for the generous discount we received on our buntastic new Playhouse shed in addition to the fast, friendly and professional service provided. Please support us if you can via our Justgiving page.Thank you! Our adorable trio of bonded sister bunnies Evee (black), Piper (grey with light brown flecks) and Prue have all found a hoppy home together!